Played college basketball at Old Dominion (2003-07). Moved to Poland for the 2007-08 season, signed by WTK Anwil Wloclawek. On November'07 moved to Greece, signed by AGO Rethimnio. 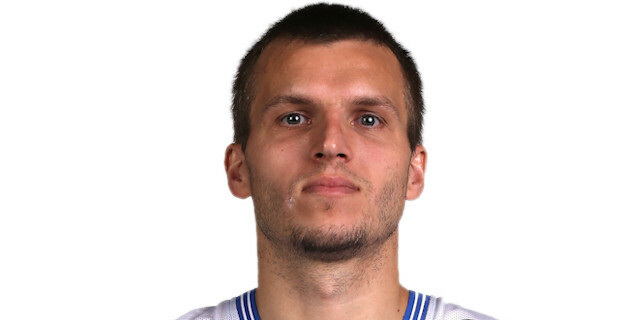 On December'07 moved to Lithuania, signed by Nevezis Kedainiai. Signed for the 2008-09 season by Neptunas Klaipeda. Moved to Russia for the 2009-10 season, signed by Krasnie Krilya Samara. Moved to Lithuania for the 2010-11 season, signed by Neptunas Klaipeda. Signed for the 2011-12 season by BC Siauliai. Moved to Ukraine for the 2012-13 season, signed by Dnipro Dnipropetrovsk. On January'13 moved to Lithuania, signed by Neptunas Klaipeda. Won the 2008 Baltic League Challenge Cup with Nevezis Kedainiai. Named to the 2006-07 All-CAA 1st Team.